I've been trying all week to process the 35-7 loss of the Pittsburgh Steelers to the Baltimore Ravens and words fail me. My wife cautioned me about some morbid tragedy analogy I was thinking of in light of the 10th anniversary of 9/11. My wife's birthday happens to be September 11th. 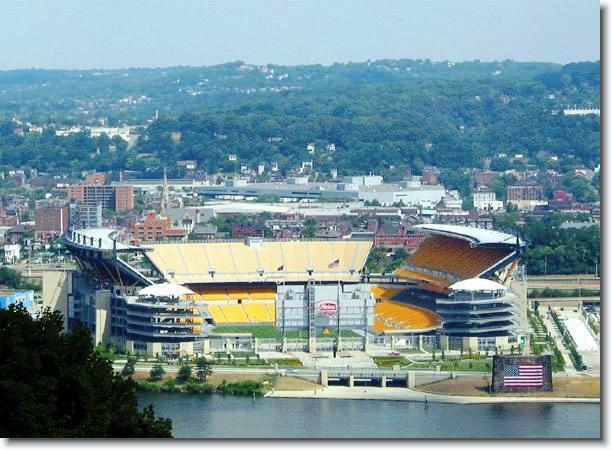 The way this defeat could be more embarrassing, is if it had happened in Heinz Field. When I first looked at the Steelers schedule, I couldn't believe how easy it looked besides the Ravens. After Sundays shameful display, I wonder if the Steelers can beat some of the weaker teams on their schedule. It's only 1 loss and we won the AFC North division with 4 losses and went to the Super Bowl last season. I hope the Baltimore game is a wake up call and the team gets serious about playing football. I'm glad I didn't say some of the things I had in mind on Monday. The Pittsburgh Steelers are still the best and most talented team in the NFL until they prover otherwise. I pity the Seattle Seahawks if the Steelers decide to make a statement this week. If they can hold onto the football and play solid defense no telling how may games they'll win.